Democratic Rep. Robert “Beto” O’Rourke of Texas sat down with former President Barack Obama earlier in November amid rumors that the congressman may launch a bid for president in 2020. The duo met in Obama’s Washington, D.C., office on Nov. 16, according to The Washington Post. O’Rourke publicly revealed a week later that he was considering a presidential run despite consistently claiming that he definitely will not be running for president. 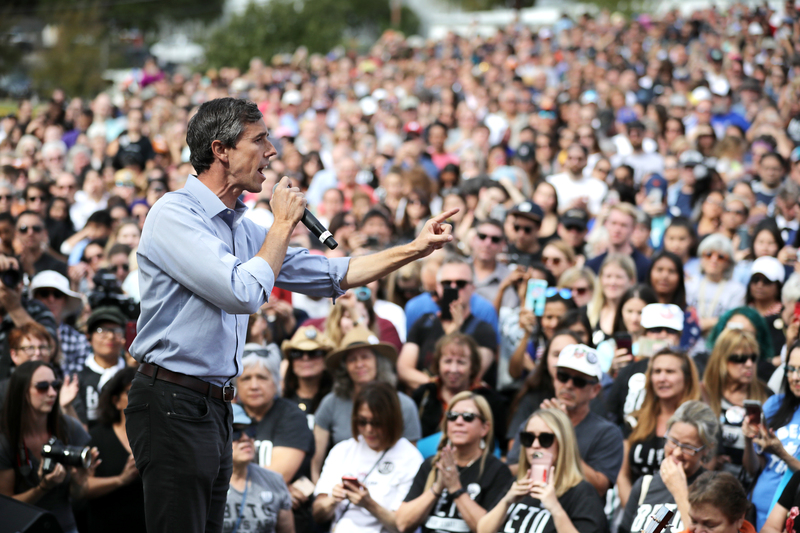 After he was asked about his presidential aspirations on Nov. 26, O’Rourke conceded to reporters that he decided “not to rule anything out.” He further acknowledged that he gave a different answer while he was campaigning, admitting that his position had switched following his loss to Texas Republican Sen. Ted Cruz. Interestingly, Obama notably left O’Rourke’s name off the list of his endorsements prior to the midterm elections, a move which was seen as strategic in part due to the former president’s unpopularity in the state of Texas. The El Paso congressman gained national attention after a constituent asked the Senate hopeful in August if he felt that NFL players kneeling for the national anthem was disrespectful to the country and America’s veterans. In a now viral interaction, O’Rourke disagreed and commended the demonstration. The response lavished praise from the Hollywood elite, springboarding the congressman onto the daytime and late night television circuit. Cruz maintained a steady, albeit tightening, lead throughout the duration of their campaigns, and ultimately fended off O’Rourke by winning re-election to retain his seat as junior U.S. senator to the state of Texas.